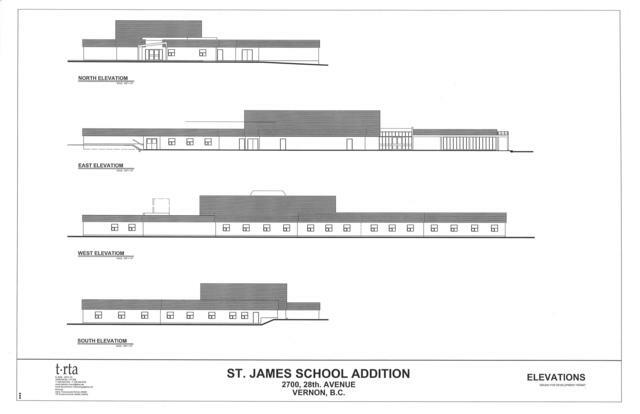 St. James School and Parish centre plays a vital role in the St. James and Our Lady of the Valley community. It is in the best interests of all stakeholders that this facility continues in its current role. 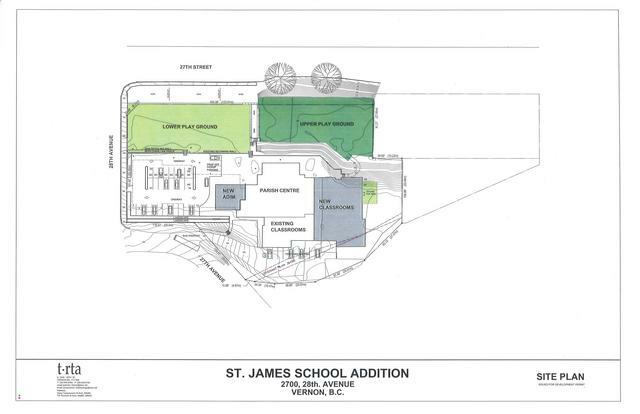 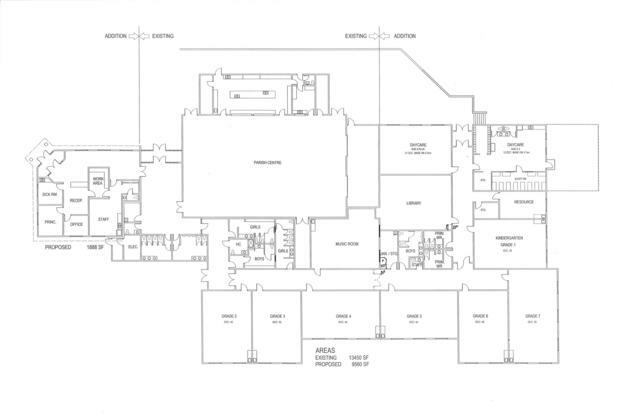 In order to do this, consideration must be made for the reconfiguration and updating of the school and site. 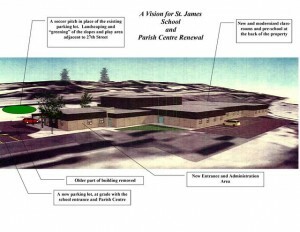 A vision of the school, incorporating the existing parish centre and newer classrooms and removing the original section of the school, is being developed.